we would reach our goal in no time. This is for you! We are currently raising funds to create this much needed healing center. Inanna House appreciates the support of the Lyme community. Your generous donations bring us closer to completion. Please feel free to contact us with any questions! Want one of each of these intention bracelets? 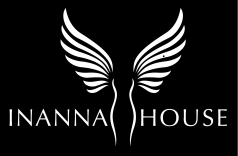 Wear your support for Inanna House﻿ and for Lyme Disease Awareness! Set your intention on seeing Love, Hope, and Healing for the Lyme community every time you look at them. Donate $10.00 or more dollars to the creation of Inanna House, and we will send you a couple of these fun little bracelets. Please share this with people so more can wear their support, and keep the good intentions rolling! Would you like to donate in someone's name? Let us know and we will send them this card from you in their honor.